Our restaurant has plenty of space to accommodate your large group or party for lunch or dinner. And we will even customize our buffet for your group! Just choose one to four dishes from our regular lunch or dinner menu and we will add your choices to our sumptuous buffet of unique, freshly prepared dishes. There is no additional charge for this service. Email or phone at least 24 hours in advance of your event and your choices will be added to our buffet, ready for your arrival. Are there dietary restrictions in your group or allergies? No worries. Our Chef can provide a menu that will meet your needs. 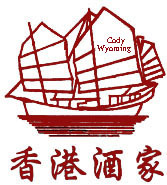 Email or call today to book your group or special event at the Big Horn Basin's best Chinese dining venue - Cody Hong Kong Restaurant!